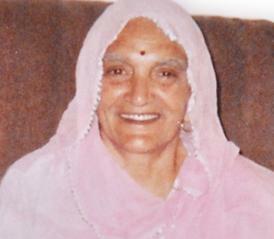 The Gayatri Public School and Gayatri Public Education Institute were named after the founder's mother, Gayatri Devi. She did not have the opportunity to go to school when she was growing up and wanted to make sure that her three children got the opportunities that she could not. Hans, the founder, saw the sacrifices she made in her life to make her children successful. This became the burning inspiration to give back and improve the lives of the children growing up in his rural village by providing them an opportunity for quality education. In this region, it is often difficult for younger children, especially girls, to obtain quality education because the transition to a city is too cost-prohibitive. We hope to support and promote quality education for children, especially girls, in the Himalayan Mountain regions in India. We hope to contribute to reducing the education disparity between genders. We believe that an educated world is a much better world. 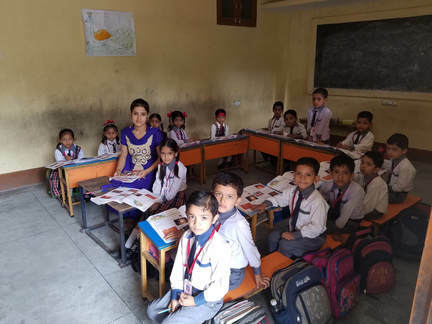 The Himalayan Hope Charitable Foundation was started in 2009 to construct the Gayatri Public School buildings, infrastructure, and contribute to operating costs of the Gayatri Public School. Hans Sharma is a small business owner and President of Sharma Associates, Inc. Born and raised in Himachal Pradesh, he migrated to the US in 1982 and acquired a MBA in Marketing and Finance from University of Scranton, PA.
Poonam Sharma is a biotechnology professional working in cell and gene therapies. She completed a Ph.D. in bioengineering from the University of Maryland. Donna Schweibert is a practicing attorney with an expertise in Estate Planning, Endowment planning, and Elder law. She has also earned a Master's degree in education and has taught Business Law, Personal Development, Media and Society, and Effective speaking at the University level. Dev Sharma is a professional in the private equity industry and has completed a Bachelors of Science in Business & Engineering from Drexel University. Jordan Ermilio is an adjunct professor at Villanova University's College of Engineering's Service Learning Projects in PA and has traveled the world organizing and participating in international development projects that design and build water systems and environmental health programs for rural communities in developing countries, Philippines, Ghana, India, Nicaragua and Honduras. Dale A. Pope is the President and CEO of MerCap Securities, LLC. He has been in the investment business for over 30 years. He is also a member and three time past president of the Rotary Club of Wayne, Pennsylvania as well as the club's Rotary Foundation (RF) Chairperson. RF assists in many humanitaria projects including education and literacy worldwide. Doug Blazey is an attorney with Elliott Greenleaf and leads the firm in Environmental, Energy and Natural resources. He was also Chief Counsel for the Pennsylvania Department of Environmental Resources. He is currently a member of the Rotary Club of Wayne, PA and the past District Governor of Rotary District 7450. He is also an adjunct professor at Temple University.